If he said that he had no sin, he would be lying (I John 1:8). But he can say that he hates sin and that the great desire of his soul is not to commit sin at all. He cannot prevent bad thoughts from entering his mind, or shortcomings, omissions, and defects from appealing in both his words and his actions. He knows that “in many things we offend all” (James 3:2). But he can truly say, in the sight of God, that these things cause him grief and sorrow and that his whole nature does not consent to them. What would the apostle say about you? Are you born again? Second, John wrote: “Whosoever believeth that Jesus is the Christ is born of God” (I John 5:1). A man who is born again, or regenerated, believes that Jesus Christ is the only Saviour who can pardon his soul, that He is the divine person appointed by God the Father for this very purpose, and beside Him there is no Saviour at all. In himself he sees nothing but unworthiness. But he has full confidence in Christ, and trusting in Him, he believes that his sins are all forgiven. He believes that, because he has accepted Christ’s finished work and death on the cross, he is considered righteous in God’s sight, and he may look forward to death and judgment without alarm. Third, John wrote: “Every one that doeth righteousness is born of Him” (I John 2:29). The man who is born again, or regenerated, is a holy man. He endeavors to live according to God’s will, to do the things that please God and to avoid the things that God hates. He wishes to continually look to Christ as his example as well as his Saviour and to prove himself to be Christ’s friend by doing whatever He commands. He knows he is not perfect. He is painfully aware of his indwelling corruption. He finds an evil principle within himself that is constantly warring against grace and trying to draw him away from God. But he does not consent to it, though he cannot prevent its presence. Though he may sometimes feel so low that he questions whether or not he is a Christian at all, he will be able to say with John Newton, “I am not what I ought to be, I am not what I want to be, I am not what I hope to be in another world; but still I am not what I once used to be, and by the grace of God I am what I am.” What would the apostle say about you? 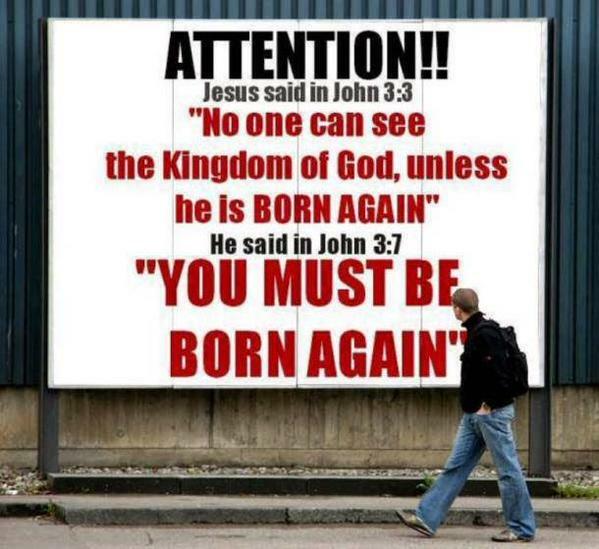 Are you born again? Fourth, John wrote: “We know that we have passed from death unto life, because we love the brethren” (I John 3:14). Fifth, John wrote: “Whatsoever is born of God overcometh the world” (I John 5:4). A man who is born again does not use the world’s opinion as his standard of right and wrong. He does not mind going against the world’s ways, ideas and customs. What men think or say no longer concerns him. He overcomes the love of the world. He finds no pleasure in things which seem to bring happiness to most people. To him they seem foolish and unworthy of an immortal being. Sixth, John wrote: “He that is begotten of God keepeth himself’ (I John 5:18).